Our Economical Hand Held Mini US Flags are perfect to show your American Pride and build excitement during parades and national events. 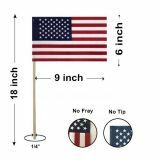 These 100% made in USA flags are safe for even children under 3 years and can be used safely in school rallies and children’s parades during national events. While they economical, they are also safer. These Traditional flat cut bottom flags are cost effective, which makes it a perfect choice as patriotic gifts and hand outs. Shop right away and find the best prices on the web, quick shipping and much more! 100% customer satisfaction guaranteed! 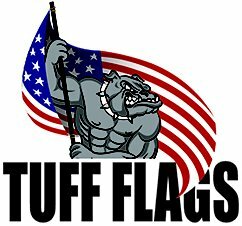 Economical Hand Held Mini US Flags from Tuff Flags are available in various popular sizes including 4"x6", 8"x12" and 6"x9" among others. The biggest attraction of these flags is their low cost, which makes it a great gift idea for mass events. These no tip flags are made of polycotton material and secured to the wooden staff. These matte finish flags are made of No-Fray material, which requires no hemming and have a traditional flat cut edge that ensures a neat appearance. No matter whether you use these for memorial services or parades, these finely crafted flags will add a patriotic tone. 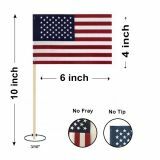 100% made in USA, our flags are a great way to highlight your national pride. 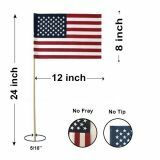 Browse our collection of Economical Hand Held Mini US Flags to hand pick a flag that suits your needs. Need tips? 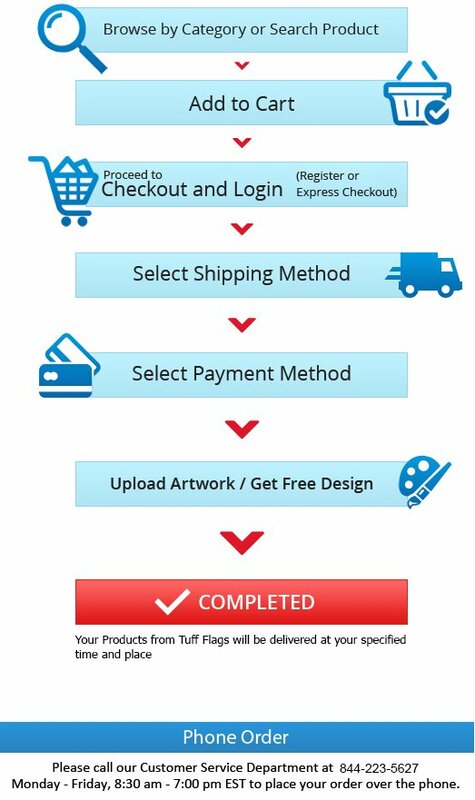 Call us atour toll free number(888) 287-3524 or email at customercare@tuffflags.com.